Monsoon is here and it enhances the rate of rusting due to excessive moisture in the air. Preventing the metals from rusting is a continuous effort for all homeowners. Removing rust from scrap metals will yield you more money while selling it to dealers. Here are some tips to help you get rid of the rust from metals. Baking soda is a common ingredient available in almost every household. Mix baking soda with water and apply a thin layer of it on the metal. Leave it for 15-20 mins. Then scrub off the area using an abrasive. This process may have to be repeated twice or thrice depending on the amount of rusting. Because of its acidic properties, white vinegar is very effective when it comes to removal of rust. Rust from outdoor metal furniture and metal tools can be removed by rinsing each with vinegar leaving it for 10 mins. Later use a scrubber or a rag to wipe it off. 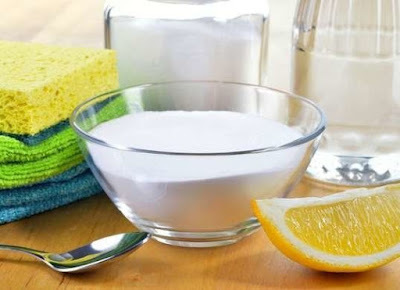 While salt acts as an abrasive, the citric acid in lemon helps to remove even the stubborn rust. Squeeze lemon into a bowl and add some amount of salt to it. Apply this mixture on the rusted areas and scrub it off after few hours.